Newcastle Uni started the brighter (obviously not literally) of the two sides and caused immediate danger to the Adel defence with a well set press and pressure applied to the transfer. Adel struggling to clear out from defence, Taylor and Gibson under immediate pressure as well as McCall in goal, who made some excellent early saves. A fine diving save down to her right, was followed in with a lifted rebound, and it was Adel this week who conceded the early goal. the Newcastle pressure was maintained, however the team began to grow into the game. Fowdon, Love and Hairsine now finding a little space to operate in wide areas and Adel started to move forward. The immediate reward denied by a sharp whistled umpire who blew for the penalty corner as the ball hit the backboard. Adel never dwelling followed this up with a short corner strike from K.Blyth which was fractionally over the backboard. Space now created in the wide areas, Bickley, Straughan and Wright started offering much more service to the opposition area, a ball popping up waist height to makeshift centre forward Smith, was duelly dispatched in true Babe Ruth style in execution rather than appearance, Adel had their equaliser. Adel’s then took the lead, what appeared to be an optimistic pass from the right, ran all the way through the split defence to Wright, who calmy slotted the ball into the corner to continue her rich goalscoring form. 2-1 halftime. The second half continued much as the first, both teams refusing the other too much space to operate in midfield. A.Blyth, K.Blyth and Bickley taking the odd opportunity to get up to full speed, and a greed card awarded to Uni, more a culmination of some mistimed tackles rather than an individual error. Adel looked to increase their lead as K.Blyth unleashed another belter from a penalty corner, the ball hitting the inside of the left post, passing across goal and then out of play across the back line. To add to this heartache, Newcastle grabbed an equaliser. Yet again a tense last fifteen minutes were set. Another PC and K.Blyth again close to grabbing a goal, this time however the ball was turned in by an alert Bickley and Adel once again had the advantage. Adel now saw the game out with relative comfort, Byers holding the ball at centre half as the clock ran down. Gibson now joined by Love at full back, duelly toppled almost all the danger. Just enough time for McCall to make another fine smothering save, as the shot was sent wide, luckily for all concerned she was still on the floor and unable to sprint to get the ball. The hit out never taken as the whistle blew. Many thanks to the travelling support coming from as far and wide as Halifax, Cumbria and even the aforementioned Northumbria Uni. The umpires were excellent throughout, especially considering that one each was supplied by Adel and Newcastle Uni, we can even laugh about a disallowed goal. 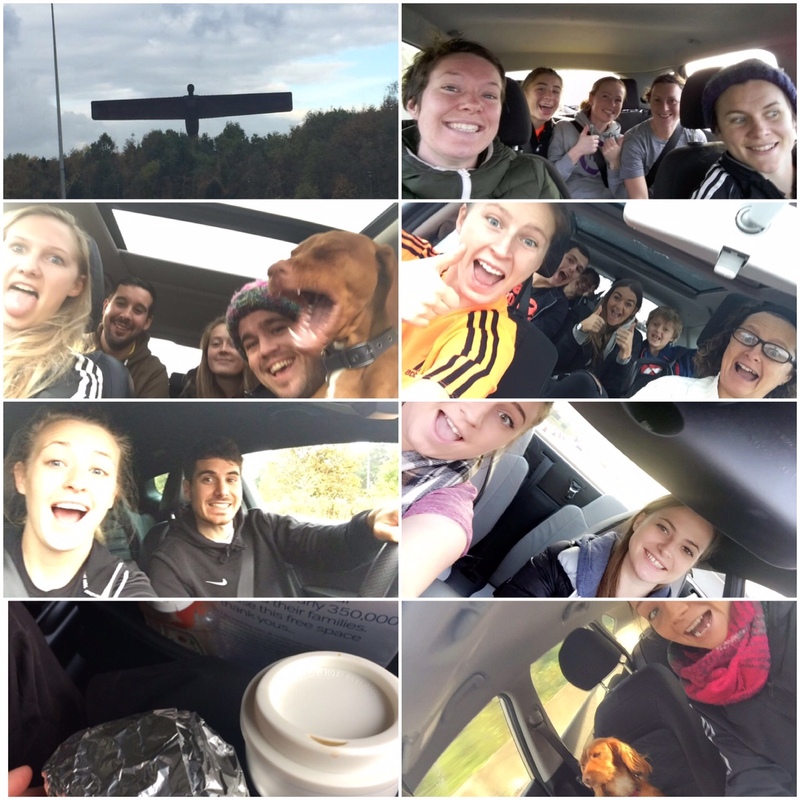 The teas were nothing short of epic and we left Jesmond well fuelled for the journey home. Our biggest thank you has to be though to the AA, who broke into a Ford Fiesta like opening a box of Jaffa cakes to save Anna the embarrassment of thumbing a lift down the A1. MoM- Sammy Gibson. Despite her flu like symptons, she successfully stopped even the bravest of opposition, time and time again. Masters Hockey (quite a bit)Over 40s, a Sunday day out.